Some of you may know that in my spare time, I like to ride bicycles. I ride for fun, and for basic transportation when I feel up to it. When I park my bicycle at work, I use a heavy-duty chain and padlock to hold it to the rack in the security-patrolled private parking garage. My bike isn't going anywhere. 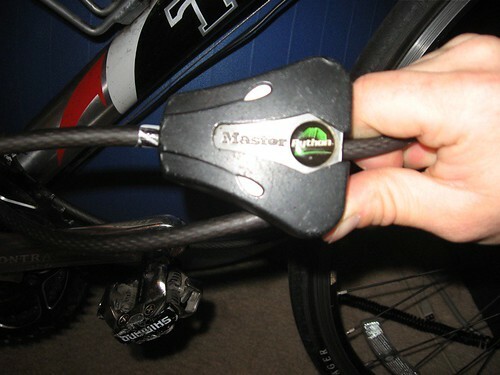 When I'm just out and about running errands, I usually lock my bike up with an inexpensive cable lock. In this case, it's a "Python" by Master. The Python is a pretty resilient lock. It has a steel braided cable that's covered in a hard plastic material. The cable itself is 6' long and can easily be wrapped around a large light post or pillar. The lock cylinder itself is only four tumblers, but the keyway is small and obstructed. To further complicate the task of picking the cylinder, the lock requires a very impressive amount of tension in order to turn. In an attempt to figure out a good method of bypass, I turned to the ancient art of shimming the lock. Shimming is when you place a sheath or other material around the shackle of a lock, and force the shim into the locking mechanism, thus unlatching the grip on the hasp and allowing the attacker to open the lock. This usually only works on lower-quality padlocks. 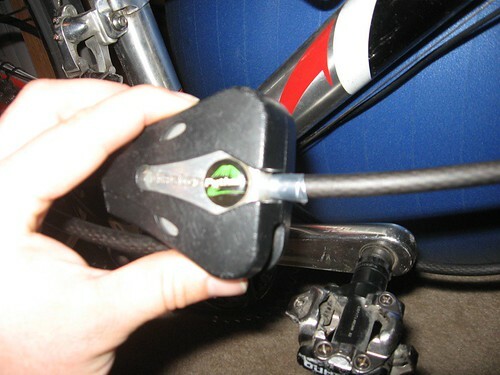 The Python works by providing a pair of ribbed surfaces that allow the cable to easily slide into the lock, but resist any attempts to pull the cable outward. By its very nature, this lock design is meant to have some slack between the lock itself and the thickness of the cable. With that, I went to work fabricating my shim. I used only a utility knife and a soda can for this attack. I cut a long strip out of the soda can that would be wide enough to wrap almost completely around the cable body. 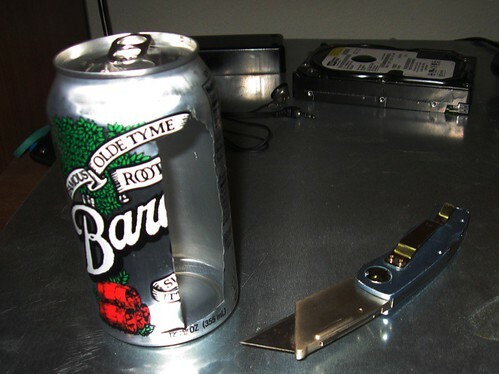 Both the utility knife and the resulting metal edges on the can and shim will be very sharp. Use good work gloves or at least a lot of caution if you choose to replicate what you see here. Next, I wrapped the shim around the body of the cable, and inserted the end into the entrance to the lock body just enough to hold the shim into shape. 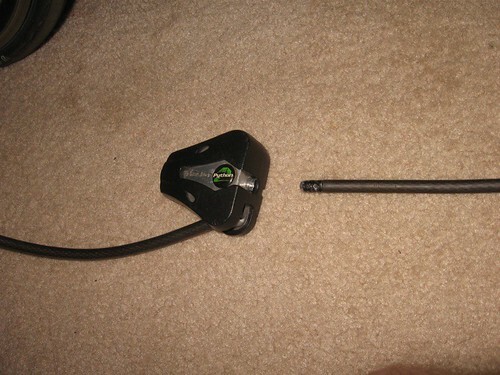 I then pushed the cable and shim further into the lock body. This squeezes the shim between the jaws and the cable, allowing the cable to slide out of the lock without being held into place by the one-way jaws. I held one end of the shim (not shown, my other hand was taking the picture) while gently and easily twisting and pulling the cable back out of the lock. This takes patience, and remember what I said about sharp edges! Eventually, the cable will come all the way out. Note, you can still see the shim inside the lock body. Then, you simply remove the shim, coil the lock back up, and away you go. Of course, I'd never advocate theft in any way. 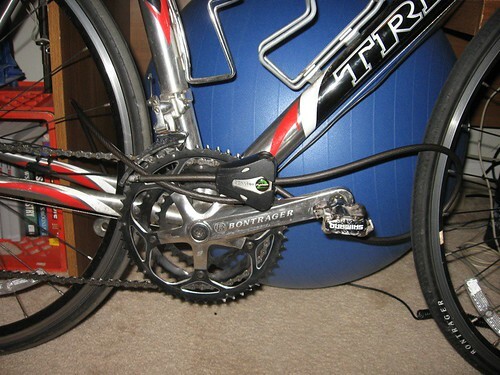 If you do attempt to steal my bike while it's locked up this way, you can expect to find yourself trying to shim this lock to get it off from around your neck! This is a very quick way to bypass many inexpensive locking systems, however. It's often easier to shim a cheap lock than to pick it. 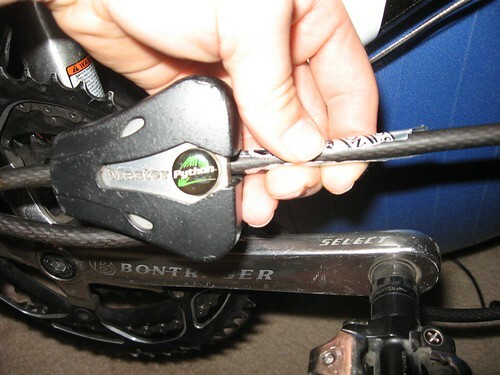 You can apply this same method to some combination locks, keyed padlocks, and certain "U" shaped bicycle locks as well. Next time someone needs their cheap lock opened without the hassle and carnage of bolt cutters, just reach for a soda can. It's worth mentioning that this attack relies on the attacker's ability to move the shim into place. Had the cable lock been pulled tightly as to remove all of the cable slack, an attack such as this one would be nearly impossible.